Don't forget to turn your clocks back this weekend! Coffee, tea and farm-made treats are available, and Neil will provide samples of the recipes he makes. This year's turkeys have been ordered from Murray's in Lancaster, PA.
Each bird is tagged with a code so you can see where it was raised. We've been selling chickens from Murray's in the meat department for over a year and we are impressed by the taste and quality. They are naturally raised on family farms in the NY tri-state area. 10-14 lb, 18-20 lb and 26-29 lb. - all at $4.49 per lb. 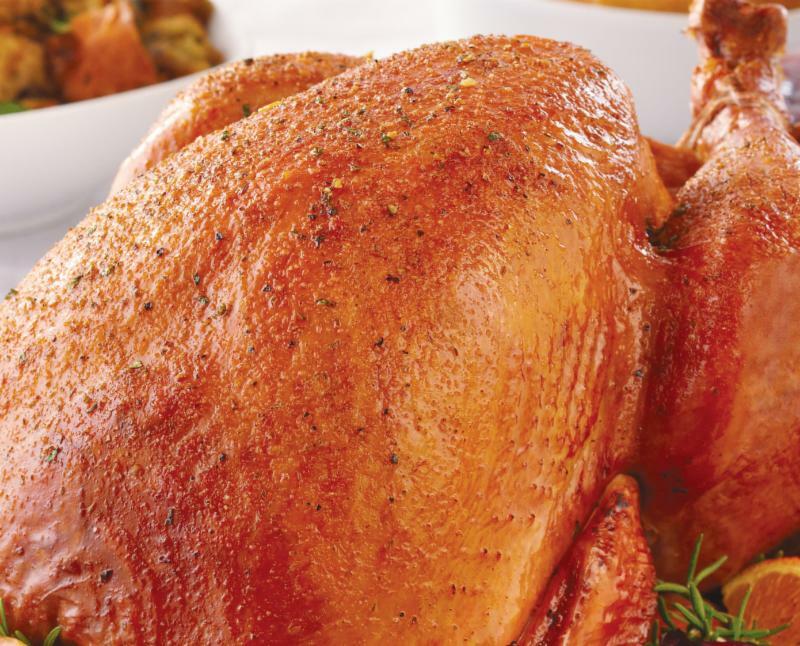 This year, there will be plain turkey breasts available. Order on-line, in person or over the phone! Delicious Farm-Made Sides and Desserts! 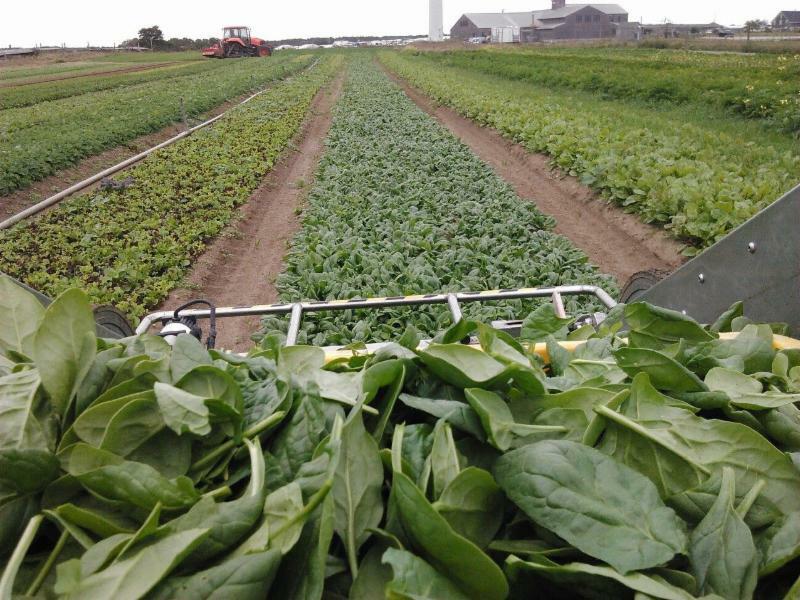 Bartlett's Farm has recently completed the three year transition time required for organic certification on 20 acres of farmland. We also have 16 greenhouses that have been certified organic for six years. These comprise another full acre. Bartlett's Farm is a sophisticated and complex split operation. The organic project here at the farm is its own undertaking with a separate crew and equipment. 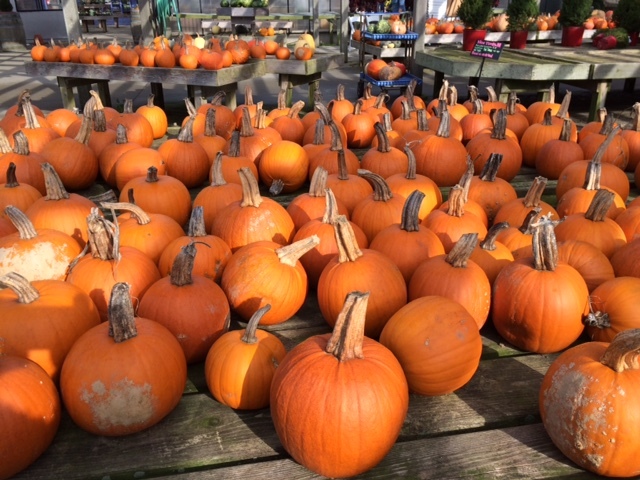 We provide the greatest range of locally grown organic produce on the island. Strawberries, herbs and greens are the primary crops on the newly certified field and new crops are being trialed every year. to certify organic crops, livestock, and organic wild crop production as well as organic handlers. 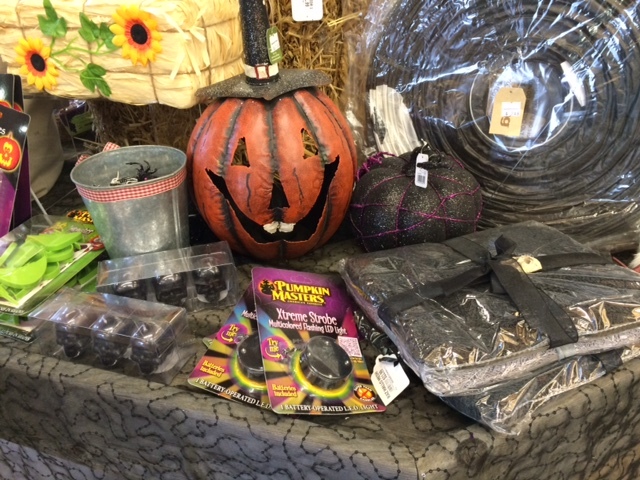 It's not too late to decorate for Halloween! Halloween Decorations will be 50% of starting Thursday (10/30) at 8 am. market and the garden center! Here at Bartlett's, we have long been fans of this awesome operation in the Northeast Kingdom of Vermont. 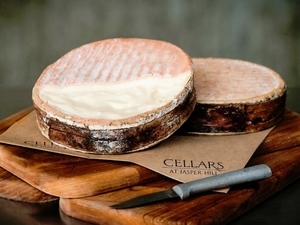 Jasper Hill is a leading pioneer in New England for their outstanding cheeses, stewardship through their massive underground aging cellars, and tenacious plans for sustainability of their operations. Bayley Hazen Blue- Jasper Hill Farm's first offering. Made from whole raw milk, it is named for an old military road commissioned by George Washington during the Revolutionary War. Bayley has developed a loyal following because of its fudge-like texture, toasted-nut sweetness, and anise spice character. 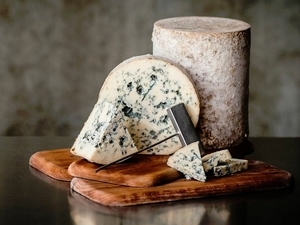 The usual peppery character of blue cheese is subdued, giving way to deeply rich and satisfying flavor. The texture and flavor make Bayley an ideal choice to those new to the world of blue cheese. Try pairing with a fruity red dessert wine, toasty Imperial Stout, or a hunk of dark chocolate. Bayley is also ideal for crumbling over a juicy burger or adding to a cheese plate along-side honey and fig jam. Winnimere- Young cheeses are wrapped in strips of spruce cambium, the tree's flexible inner bark layer, harvested from Jasper Hill Farm's woodlands. During aging, the cheese is washed in a cultured salt brine to help even rind development. At 60 days, this cheese is spoonably soft and tastes of bacon, sweet cream, and spruce. Winnimere is best enjoyed by peeling a bit of the top rind and diving in with a spoon and some friends. Pair with a smoky, meaty red wine or porter-style beer, and some crusty bread. 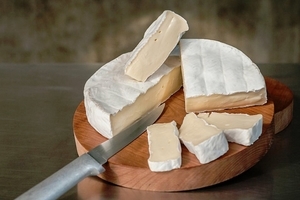 Moses Sleeper-A Jasper Hill Creamery original, inspired by classic, French Brie. This cheese's historic namesake, Moses Sleeper, was a Revolutionary War scout killed while defending a blockhouse along Northeast Kingdom's legendary Bayley Hazen Military Road. Moses is an approachable and nuanced brie-style cheese and by far one of our most popular selections at Bartlett's. Beneath it's thin, bloomy-rind, a gooey, milky core shows a complex array of flavors at peak ripeness: cauliflower, cre fraîche, and toasted nuts. Aromas of white mushrooms follow the rich flavors of the paste. Moses is perfect for a festive cheese board or for baking en croute for an elegant dessert. At room temperature, this cheese is pliant and decadent without being runny. A farmhouse saison, country pâte, pickled carrots and a crusty baguette are perfectly paired with Moses. 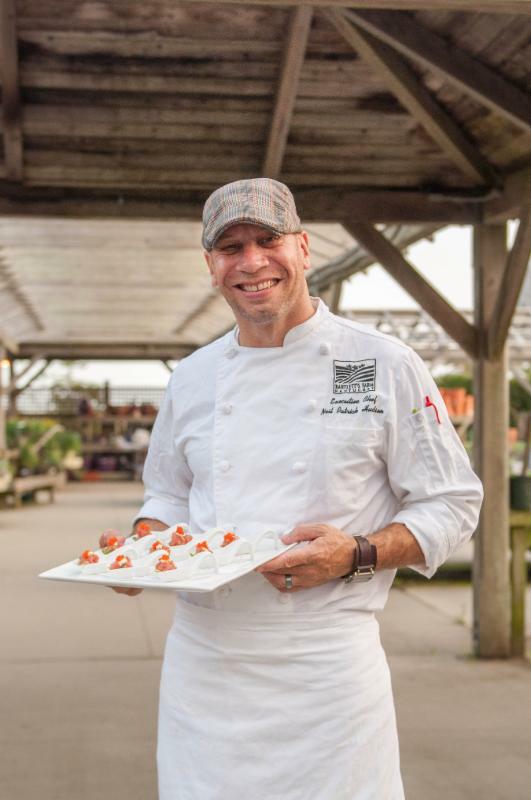 11/8 Chef Talk: 10 am in the Hayloft. Jason Welch, sous chef at Oran Mor, will share recipes for fall and winter vegetables. The Marla Lamb Fund - Part of Palliative Care On Nantucket.